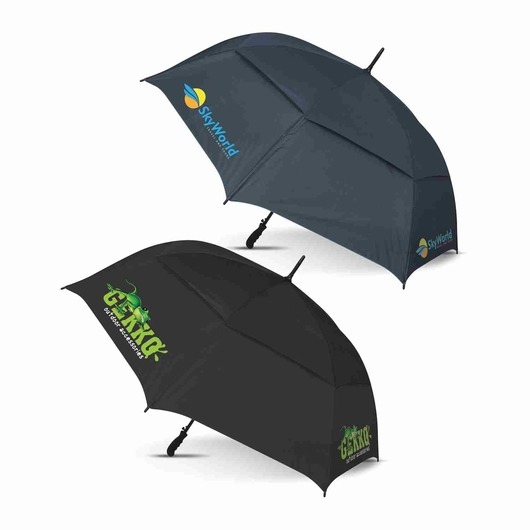 A high quality sports umbrella that comes in either navy or black colours. Stay dry and shaded with some of these great 76cm sports umbrellas. They feature an auto opening mechanism and are manufactured with resilient 190T showerproof fabric. They have a fully vented double panel wind proof canopy with 8 fibreglass ribs and a fibreglass shaft. 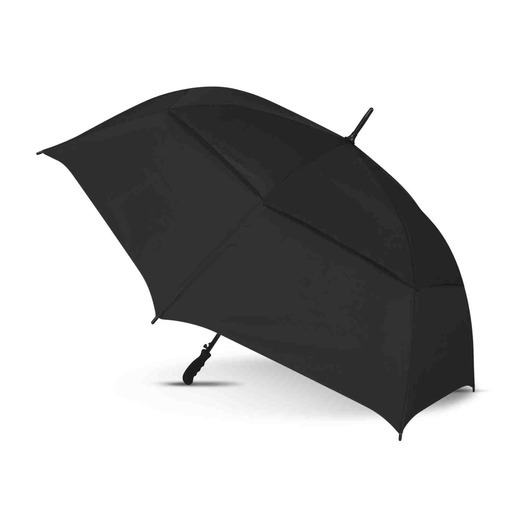 Other features of the umbrella include: a contoured soft touch lacquered grip, plastic tips and double Velcro ties. Great to have in the car as an emergency umbrella or spectating sporting events in rain or shine.